Complying with health and safety legislation can be time consuming, costly and confusing. Legislation and standards often vary from state to state and country to country, meaning if your workplace crosses geographies, there can be multiple and often conflicting rules to follow. Safety legislation requires a person conducting a business or undertaking (PCBU) to provide a safe workplace, to implement a safe system of work, to consult with workers on safety and to maintain records amongst other things. This can often mean stacks of paper, emails and uncontrolled documents which makes it very hard to comply. There is a solution to these problems, health and safety software. Health and safety software can assist in automating your obligations, capturing records, assisting with consultation and creating a single source of the truth enabling organisations to comply without the headaches. Combine this with Managed First Aid Training Services from Alsco and your organisation is all set on the path of safety and compliance! Health & safety software can put safety in the hands of your workers through mobile access. 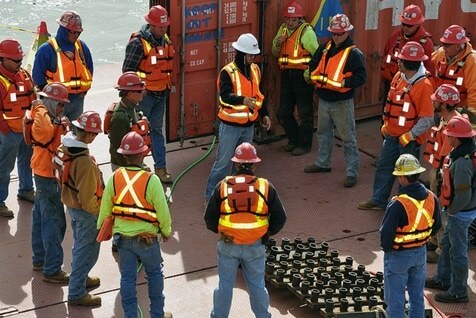 Workers can report issues when they occur, immediately receive guidance and receive better consultation resulting in higher engagement and greater awareness of their and others safety. Health & safety software allows you to automate your obligations meaning that you can take your current procedures and drive behaviour as well as actions and reminders. Health and safety software allows you to remove manual effort and duplication of effort. Recent surveys have shown that spending on safety automation can deliver benefits of $3 – $5 per dollar spent. Savings can come from a reduction in workers compensation premiums (due to injury reduction), potential rebates on premiums, reduced double handling & paperwork and avoidance of penalties. Good safety is good business, Health & safety software can assist in providing a sound picture of an organisations performance through dashboards and reports which can be published on a company’s website or in marketing and communications material. Health and safety software gives organisations the ability to manage risk and ensure that they are complying with legislation and standards. There are many additional benefits of implementing health & safety software which may include getting access to other functionality, such as learning management which may assist other functions within your business. The health and safety software market has a number of competitors ranging from the large established enterprise players through to a number of smaller companies. When selecting health & safety software, it is important to understand your budget, the devices you wish to access the software on and the level of complexity required to manage your risk. Complexity: Health & safety legislation is complex enough, the key to successful health and safety software is taking something which is complex and making it as easy as possible. Steer clear of software with overly onerous forms or unintelligible jargon. Functionality: Health & safety software providers offer large suites of functionality. Often the functionality can cross over into other areas of an organisations management. Make sure to pick a product which can scale with you, has the ability to turn on and off functionality that you need, when you need it and is able to be integrated with other software. User Experience: There is no point implementing any software, unless workers are going to use it. The key to getting benefits out of health & safety software is having a workforce which is engaging with the product. Look out for software which is clunky to use, has unnecessary steps and looks like it was built in the early 90’s. Mobility: Part of keeping workers engaged with health & safety software is allowing them to access it anywhere, anytime. In 2015 people are used to being able to access everything on the go such as social media, banking and shopping, why should accessing health and safety software be any different? Price: Historically, purchasing health and safety software was a very expensive exercise. Today, health and safety software can often be picked up for a small fee per user on a subscription basis. With the cloud becoming more secure, affordable and popular, implementation costs from providers should also be minimal, if they are charged at all! Health & safety software is a great way to not only comply with health and safety, but to build a fantastic and sustainable culture within your business. Alsco would like to thank Matthew Browne for this article. He is the CEO of DoneSafe, “The People’s Safety Software”. The DoneSafe team has taken what is traditionally expensive, jargon-filled and clunky and built software which is affordable, easy to implement and use for organisations of all sizes. DoneSafe covers all the bases, managing everything from hazards and risks, auditing and observations, plant and equipment, chemicals, learning, visitors and contractors, consultation, knowledge base as well as an insight driven reporting function. Better yet Alsco Greenroom readers can get access to DoneSafe on a 30 day free trial, with no obligations or credit card required. For enquiries, visit donesafe.com. Want to ensure your organisation maintains a cleaner and safer workplace? Partner with Alsco, enquire about our hassle free services.